Under an amendment to the carrier’s existing order for 63 A350-900s, seven of the aircraft will now be delivered with an Ultra-Long Range capability for flights of up to 19 hours. In addition, the carrier has placed an additional order for four A350-900s, taking its total firm orders for the A350 XWB Family to 67. Representing a distance of some 8,700 nautical miles, the New York service will be the world’s longest commercial passenger route, with an expected flight time of up to 19 hours. Moreover, the unique flexibility offered by the A350 XWB allows operators to reconfigure their A350-900ULR to the standard long-haul A350-900 specification should they require it. 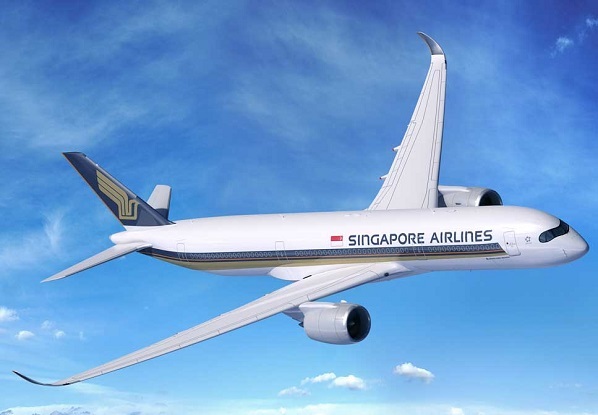 “Our customers have been asking us to re-start non-stop Singapore-US flights and we are pleased that Airbus was able to offer the right aircraft to do so in a commercially viable manner,” said Singapore Airlines chief executive Goh Choon Phong. “This is another example of how we strive to meet and exceed our customers’ expectations by remaining at the forefront of product and service innovation in our industry. The all-new A350 XWB entered commercial service earlier this year and features the latest aerodynamic design, carbon fibre fuselage and wings, plus fuel-efficient Rolls-Royce Trent XWB engines.